Sony DMR-36R / A-6052-100-B - Open Box! 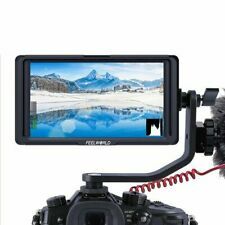 Package Includes: 1 x F6S Camera Monitor 1× Mini HDMI Cable 1× Sunshade 1× Sunshade mounting frame 1× Tilt Arm 1× Operation Manual Note:Battery and charger is not included Description： Professional grade 5" IPS 4K HDMI camera-top monitor that can power your DSLR or mirrorless camera. Display . 1920x1080, bright and vibrant pictures everywhere. 4K HDMI input & loop output. Resolution: 1920x1080 pixels. HDMI output application, connect to wireless stations. Entrance: HDMI. Exit: HDMI, DC output. 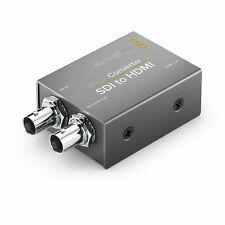 Blackmagic Design Micro Converter SDI to HDMI. Input signals are detected automatically, so the converter knows the resolution and format to output. SDI Compliance SMPTE 259M, SMPTE 292M, SMPTE 296M, SMPTE 372M, SMPTE 425M. Get the best quality possible through your JVC or Panasonic professional monitor through RGB or component video YPbPr inputs with this input card, designed to be similar to the increasingly difficult to find JVC IF-C01COMG expansion card, also known as the Panasonic BT-YA702 and Ikegami CPN-1700. Seamless follow focus lens gear ring custom modification. 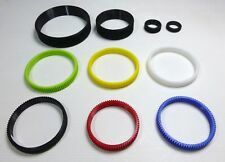 They are 10mm wide and made in black polyurethane. This transcoder can handle ANY incoming HV Sync or Composite Sync, both of any polarity or even if the HV sync is of opposite polarities. Retrotek VGACTV1. VGA to Component Transcoder. Q: How do I use composite sync when your device uses a standard VGA input?. 1920 x1080 excellent display ,more than ITU-R BT.709 color gamut and the upgrade of 4K HDMI signal input and output technology, make sure every shot is in focus and gives you professional perfectly images. No need any crack or othe sofftware. Jus simple trick to run demo again. What is a LUT?. Included LUTS These will work in Premiere Pro CC, DaVincci Resolve, FCPX, AE. 4K HDMI input/output, 3G SDI Input/output (only for model A50TLS). 3D LUT (Available on Model A50TL and A50TLS). There are 4 models of A50 series for option: A50 (Standard),A50T (Touch Screen),A50TL (Touch Screen 3D LUT),A50TLS (Touch Screen 3D LUT 3G SDI). Pcb Label : Rd.S.8475PCB1 Base Board 3AS1, SSL: 01028475 05069, Taken from Evolution 5000 Encoder, E10022-01-49-49, M2/ENC/E5211, Used, untest. This unit is given DOA upon received if it does not perform as standard or what we described. Model: FW450. 1 Feelworld FW450 Monitor. With dual HDMI port, it supports the HDMI Input as well as the HDMI output. Easy to monitoring on another larger screen with HDMI output synchronizations. 4K UHD 3840 X 2160p (30/29.97/25/24/23.98Hz), 4096 X 2160p (24Hz). Input port : for HDMI 2; AV; DC IN; USB. 2 HDMI Cable. Wide viewing angle LCD screen. 1 Monitor with Sunshield. 1 Standard Hotshoe Adapter. 1 NP-FM50 battery(gift). Item size: 13 9 4cm / 5.1 3.6 1.6in(with sunshield). Up for sale AJA D10AD SDI Converter. Never used. Item is never used, still have the original box. I lost the manual but you can get that online. Tandberg TT6120. Transport Stream Processor. WARNING: This product contains, or may contain, chemicals known to the State of California to cause cancer and birth defects or other reproductive harm. (En Español). Miranda Imaging Quartet-2 Upconverter. There is always a solution to any problem if two parties are willing. Any known defects will be noted and pointed out. NO warranty of any kind. Brand New! I purchased a new Canon camera from B&H a few days ago and this Shogun Flame 7" Monitor and Recorder was bundled with it. As I don't need a recorder, I'm selling it! Never used or open! DV in/out Analog Input Analog Video Out DC5V AC Adapter AC100V/220V. (Front)Video In NTSC (525/60). Audio Out Stereo Unbalanced Line In. Stereo Unbalanced Line Out. MOBUS is designed for gadgets with the screen diagonal from 4" to 6.5";. MOBUS has 1/4" screw to be connected with tripod and selfie stick. Personal online space for writing texts from any device cloud synchronization with the application. Features: -7 Inch field monitor adopts 800x480 high resolution Wide viewing angle hard screen technology (Physical resolution：800x480) -Bestview professional color technology. True color High Definition，No color cast��accurate distortion, Shooting images showing real sporty. -Perfectly support for all signal formats, compatible with almost all professional camera camcorder of the market. -Broadcast photography, video high standard software features:. The PDC-888 Closed Caption Decoder i s a high performance Closed Caption Decoder for the NTSC/PAL system. It is capable of displaying captions for CV, CAV and Y/C as required by EIA-608. Designed with the professional user in mind, the PDC-888 processes Composite video, Component video and S-Video. Blackmagic Design Decklink Mini Monitor 4k. DCI 4K, UHD, HD, and SD Video Support. Humidity: 0-90%, non-condensing. Storage Temperature: -4 to 113°F / -20 to 45°C. Certification FCC, CE and C-Tick. Windows 7/8.1/10 (64-bit). 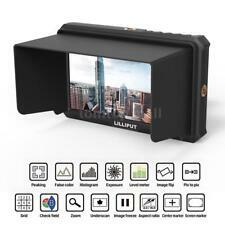 Viltrox DC-70II Clip-on LCD Monitor has lots of useful functions such as peaking, peaking color, pixel-by-pixel, freeze, zoom,exposure and scan mode,etc.zoom,exposure and scan mode,etc. The following functions help you to see the image more clearly and take better pictures. Operational Condition. Does NOT Include . If you only need to switch, record, or stream two sources, resolutions up to 1080p60 can be used. In all, isolated (ISO) feeds of each input channel, the final switched output, line-in audio, and multiview of the isolated channels can be recorded simultaneously. Model: ezcap286. Video input: HDMI SDI. Audio input: HDMI SDI. Encoder: H.264 hardware coding. Recording format: video: H.264 MPEG4, audio: AAC Stereo. Recording space: maximum: 140MB / minute, 8.4GB / hour. The V-4EX features a selection of 148 digital effects including colorize, strobe, mirror, multi-screen, negative, shake, afterimage and silhouette. It also features composition effects such as picture-in-picture, chroma key, and luminance key. The solution is a high-end VGA to video converter, which converts VGA to high-resolution video, enabling the PC output to be selected via a video switcher. Datavideo have developed the first software for displaying VGA directly out thru these Decklink SDI cards.